Are there any authentic Bhuddist texts? If so, what are they? These are questions of tremendous spiritual and historical interest, about which there is a range of opinions that often appear to be irreconcilable. 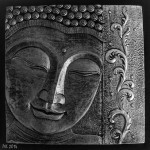 Traditionalists insist that the texts were “spoken by the Buddha” in the most literal of senses, while sceptics assert that we cannot know anything about the Buddha for certain, and further, that the notion of authenticity is irrelevant or pernicious. Rarely, however, has the question of authenticity been systematically investigated. Seeing the lack of an easily accessible summary of the evidence, we decided to assemble this survey. There are two main aspects to our argument: (1) there is a body of Early Buddhist Texts (EBTs), which is clearly distinguishable from all other Buddhist scripture; (2) these texts originated from a single historical personality, the Buddha. Multiple independent lines of evidence from the EBTs converge on a point of origin geographically in Northern India and temporally around the 5th century BC. It took an astonishing energy and dedication to create and sustain this literature. It must have been produced by an extraordinary historical event. And what could this event be, if not the appearance of a revolutionary spiritual genius? The Buddha’s presence as a living figure in the EBTs is overwhelming and unmistakable. It stands in stark contrast with all other Buddhist literature, where the Buddha has faded to legend. Yet none of the later texts could exist without the EBTs; they are the foundational literature from which everything else derives. Within a few decades of the Buddha, under the reign of the Nandas, the political situation completely changed, from the diverse patchwork of small states depicted in the EBTs to a mighty, unified empire. And from the Mauryan empire of Asoka, starting around 130 years after the Buddha, the sources speak of the existence and wide dominion of Buddhism. For this to be possible, Buddhism must have undergone an extended period of growth prior to the Mauryan empire. This is in agreement with the EBTs, which vividly and realistically depict social, geographical, linguistic, political, philosophical, religious, and other conditions that obtained in a period substantially prior to the Mauryan. The variations and divergences in the Buddhist traditions, as well as the lack of direct manuscript or archaeological evidence for the life of the Buddha, are real and important considerations, which should raise questions for any serious inquirer as to what the historical foundations for the Buddhist religion really are. However, it is overly sceptical and unscientific to conclude from the lack of such direct evidence that we cannot say anything, and that we cannot reach firm conclusions. Science works from indirect and inferred evidence, and the preponderance of such indirect evidence points to the authenticity of the EBTs. We are not denying the obvious fact that the texts bear all the marks of redaction and editing, and that they have been optimised for the oral tradition. There are even a few cases where the editorial hand seems to have added interpretations to existing ideas. But to assume from this that the literature as a whole has not conserved the central ideas propounded by its founder, or even that it was invented ad hoc by redactors, is to lose sight of the distinction between editing and composing. So when we say that the texts were “spoken by the Buddha”, we mean it in this non-literal sense. Clarifying the exact nature and degree of the editorial influences on the EBTs is one of the primary tasks of the student of Early Buddhism. Anyone wishing to establish the thesis that the EBTs are inauthentic needs to propose an explanation that accounts for the entire range of evidence in a manner that is at least as simple, natural, and reasonable as the thesis of authenticity. We believe that, while in certain respects the field of Buddhist studies has progressed, many of the arguments made by foundational scholars still hold good, and that they have sometimes been unfairly neglected or dismissed. The very longevity of these ideas suggests that they may still be pertinent long aftermore fashionable contemporary notions have been forgotten. Inevitably, different people will find different arguments more or less persuasive. However, our thesis does not depend on individual details, but on the persuasiveness of the bulk of the arguments taken as a whole. We are dealing with events over two millennia ago, so it is of course possible, if not trivial, to cast doubt on any individual detail. It is only when the facts are seen together as contributing to a coherent narrative that they become compelling. We know when the Buddha lived, where he lived, who he associated with, how he lived, and what he taught. We know these things with greater certainty than for almost any other historical figure from a comparable period. And we know this because of the EBTs. All other historical and archaeological information about the period depends on the EBTs to make sense. One of the distinctive features of the EBTs is their careful and conservative attitude to knowledge. 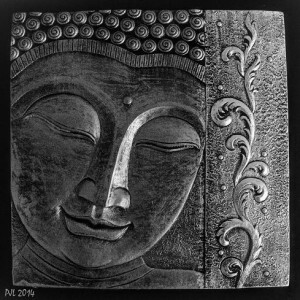 “Buddha”, after all, means “Awakened”, and the development of wisdom is right at the heart of the Dhamma. The Buddha did not just teach the truth as he found it, but carefully detailed the way to discover the truth, and warned against leaping to rash conclusions. When we hear words of caution against accepting anything on mere faith, we are hearing the unmistakable inflection of the historical Buddha’s own voice. The Buddha’s caution in what we can know is, however, balanced by his optimism, his belief, confirmed by his own experience, in the human mind. We can know. Not perfectly, perhaps, but well enough. There is no point in seeking for some ultimate truth in the messiness of the world we live in. What we need is a practical truth, one that is good enough. In the Sandaka Sutta, the Buddha points out the dangers in living the spiritual life based on belief in a scriptural tradition. He says, with his characteristic reasonableness, that what is passed down in tradition may be well learnt or badly learnt, it may be true or it may be otherwise. (MN 76.24). Only if a spiritual life leads to the ending of suffering is it of true value. The point of establishing the authenticity of the EBTs, then, is not to prove that they are all true. It is to show that they are useful. Within the corpus we indeed find that some things are well learnt, others badly learnt; some true, and some otherwise. With some reflection and effort, we are able to discern these things. What remains is a powerful, clear, balanced, and profound approach to the spiritual life. This approach has been of benefit to countless people, and we believe that it remains so today. By encouraging the study of the EBTs, we believe more people will be moved to apply these teachings and test them in the only way that the Buddha cared about: to reach the end of suffering. The Authenticity Of The Early Buddhist Texts by Bhikkhu Sujato and Bhikkhu Brahmali, presented as a supplement to Volume 5 of the ‘Journal of the Oxford Centre for Buddhist Studies’. This entry was posted in Buddha & Buddhism, Commentary and tagged Brahmali Bhikkhu, buddhism, commentary, early buddhist texts, pali cannon, Sujato Bhikkhu. Bookmark the permalink. There is a mistaken assumption in one of the arguments by the monastic authors against the validity of the EBTs: “the obvious fact that the texts bear all the marks of redaction and editing, and that they have been optimised for the oral tradition.” This assumption does not take into consideration the high probability that the Buddha himself “optimized” the discourses. That is to say, the discourses occurred in the context of a purely oral tradition. Do we just assume that he would speak about the Dhamma in the casual, free-association way we do today? We know from the texts themselves the tremendous amount of importance Buddha placed on the accurate preservation and transmission of his teachings through the oral tradition. We also know that the Sangha of monks and nuns in his time had been divided into specialized teams focused on different parts of the Canon, some on the Vinaya, others on the Majjhima, others on the Anguttara, etc. It is apparent that this was an deliberately organized “project,” going on during the Buddha’s teaching career and within an oral culture where the ability to memorize large amounts of information (such as the Vedas) strikes us today as superhuman. I submit that when we imagine the Buddha “was just talking” the way we do today, we are projecting our own written (or texting!) culture inappropriately to that of the Buddha’s time. My second point, related to my first, is: How did the authors fail to consider this? Or the other “experts” who peer reviewed the text? Unfortunately, the level of Buddhist scholarship in the West is notoriously poor. It’s a bit like a sausage factory, but with high sounding titles and university chairs. So when you read this book, please don’t check your skepticism at the door. I haven’t read the book myself, nor have any intention to, but suffice it to say that even monks can have agendas that drive their conclusions, and facts can be selected, omitted and marshaled in various ways to support them. Basically, when an authoritative source is disparaged, there is usually a quick move to replace it with something else, e.g. the authors’ own opinions, Chinese sources, or something else. Mind the action, gentle readers. I watched a portion of the video, and was particularly taken aback by the direct and misleading attack on the Thai Forest Tradition @ approx. 41:00. I think it’s fine they’re arguing to give the EBT’s more weight, but I suspect they give them less weight than I do (though I don’t hold it to be absolutely uncorrupted, e.g. the 32 marks of a great man), or ironically the Forest Tradition. Again I want to stress readers to exercise caution. Sometimes very deliberate agendas can be couched as disinterested, objective, unbiased studies. i also have not read the complete book yet… but I will, because I see the work of the authors, and probably some of the scholars who did peer review, on SuttaCentral. It is quality scholarship.Alternatives would probably like it, as would most Theravedans.